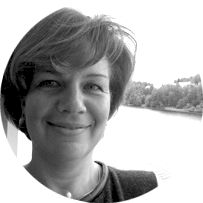 Paola Giaconia is a licensed architect and experienced university educator. She graduated with a diploma in Architecture from the Politecnico di Milano. Recipient of a Fulbright Scholarship, she received her Master’s Degree from SCI-Arc (Southern California Institute of Architecture) in Los Angeles. After work experiences in the USA (Morphosis) and in Italy (Massimiliano Fuksas), she started her own practice in Italy, completing a Cultural Center in Ranica (Bergamo, Italy) which received numerous awards and major international exposure through several publications worldwide. She has a record of publications and articles on international magazines, such as “Abitare”, “de Architect”, “Domus”, “Hinge”, “Perspective”, “Rassegna”; and has been invited to lecture internationally at various universities and cultural institutions, including the Politecnico di Milano, the MAXXI Museum in Rome and Universidad CEU San Pablo in Madrid, Spain. Paola is fundamentally committed to engaging both architectural theory and practice, coupling her activity as a designer with scholarly research. Since Fall 2011 she is coordinator for the Architecture and Interior Design programs at Kent State University, Study Abroad Program in Florence, Italy, where she orchestrates several streams of activity: from directing the academic program of the school to curating the lecture series and international symposia to teaching architecture and interior design studios. – Giovanni Damiani, Thilo Folkerts, Paola Giaconia (eds. ), The Kent State Forum on the City: BERLIN (dpr-barcelona, 2015). – Paola Giaconia, Eugenio Pandolfini (eds. ), The Kent State Forum on the City: MADRID (dpr-barcelona, 2013). – Paola Giaconia (ed. ), GEZA PRATIC (Silvana Editoriale, 2011). – Marco Brizzi, Paola Giaconia (eds. ), VISIONS (Image PUBLISHING, 2009). – Paola Giaconia, Eric Owen Moss. The Uncertainty of Doing (Skira, 2006). – Paola Giaconia (ed. ), SPOT ON SCHOOLS. SCRIPT (Compositori, 2005).